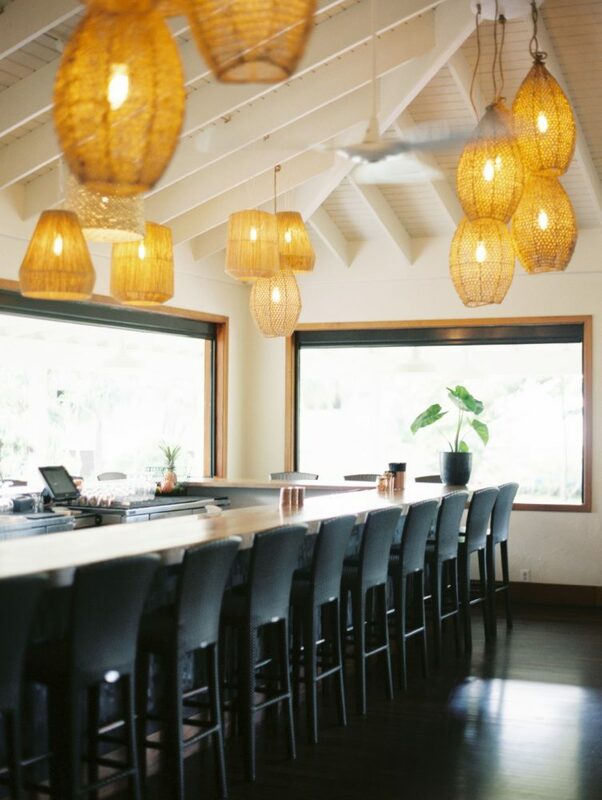 The Plantation Gardens Restaurant on Kauai’s South Shore has been beautifully restored. Located in the lush Moir Gardens, the plantation era estate’s heritage was made absent by a series of unfortunate renovations. Over the years the windows, which opened out onto the garden were etched, ill-suited paneling was installed and the walls were painted poorly selected colors. Our solution was to open the space to allow the original architecture to shine. Larger glass windows replaced the etched glass allowing guests to be immersed in natural daylight and garden views. 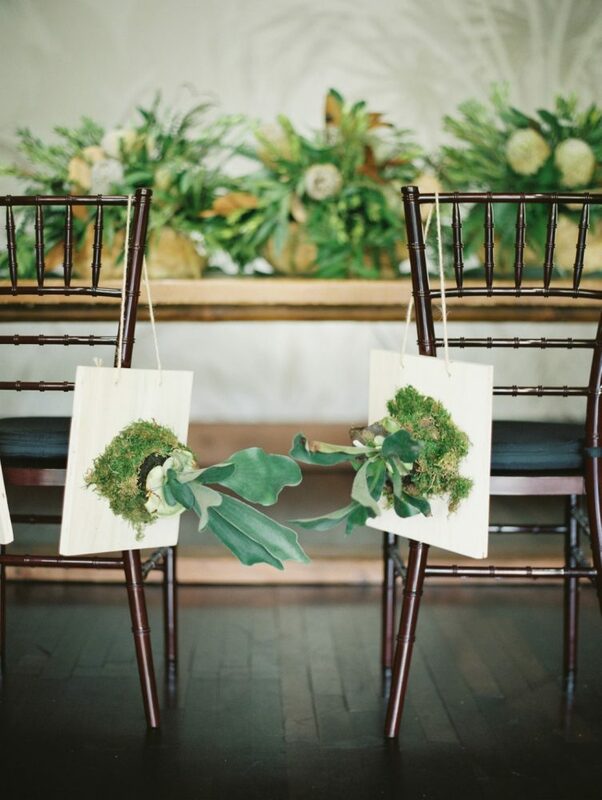 Custom banquettes raised the seating and improved views. 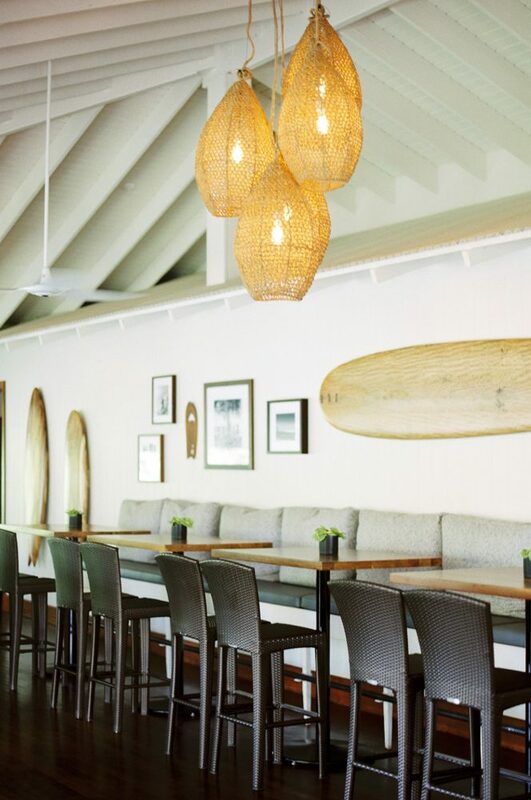 An island aesthetic has been added in an updated style with new woven pendant lights inspired by traditional fish baskets. They call attention to the plantation era ceiling details. 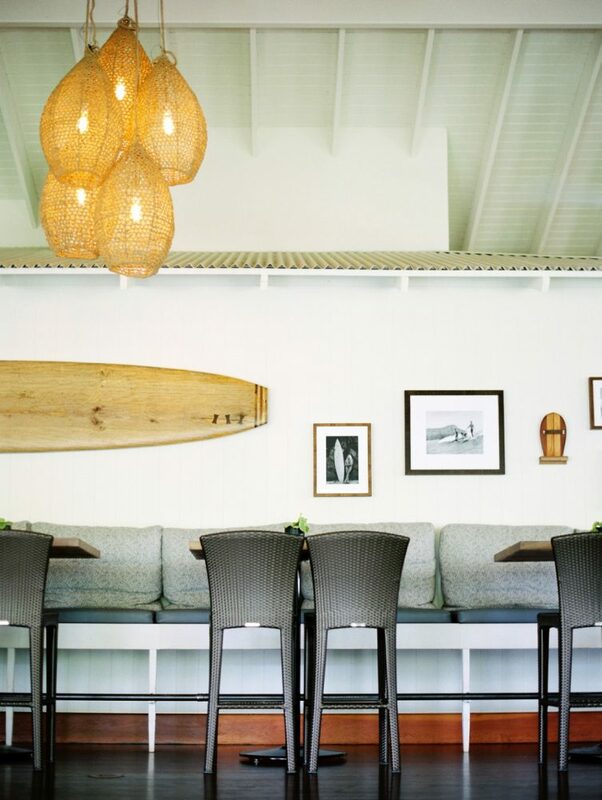 Woven chairs, bar stools, wood table tops and bar counter all follow through on this design choice. 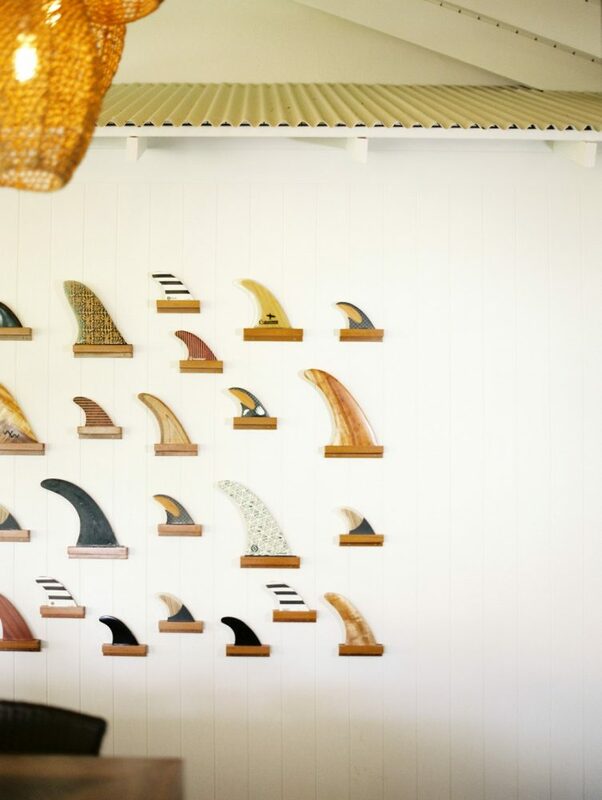 Smaller details such as alaia boards, hand planes for bodysurfing, and surfboard fins have been installed on the walls along with vintage black and white surf photos. 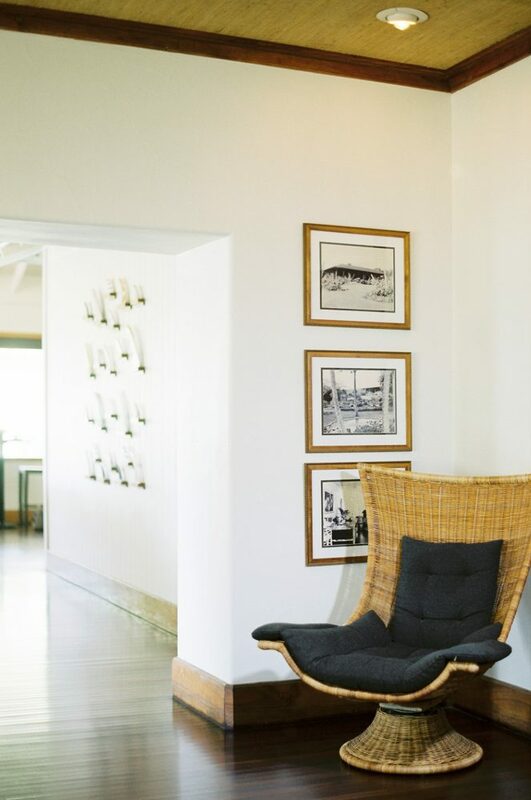 Perhaps the most impact is achieved by moving the existing bar to the front of the restaurant, thereby creating a more energetic arrival experience. The move opens up valuable space for special events in the rear of the restaurant. The result is an establishment that welcomes residents and visitors alike to gather and just hangout.